Four easy steps is all it takes to expand your choices, digital Casanova! Tinder is a great place to look for casual hook-ups. The only problem is that it will only show you girls living 100 kilometers near you. Depending on where you live, this can be quite limiting. No, we aren't telling you to go for a premium Tinder account which can cost thousands of pesos. What we are trying to tell you is that there's a way to meet a Pangasinense, Bicolana or Cebuana for free, thanks to the phone-obsessed folks over at Phone Arena. "As with any location-based apps, Tinder can be fooled into thinking that you're wherever you want it to," reads a Phone Arena article. "All you need to do is fake your GPS location." Take note though that this hack only works for Android. STEP 1: Go to Settings, choose About device, tap Build number seven times until you get the confirmation prompt. STEP 2: A notification will appear if you've done it right. Go back to Settings then choose Developer options. Enable Allow mock locations option. STEP 3: Next up, you'll need a GPS location-spoofing application like Everywhere for Tinder or Fake GPS Location Spoofer. As soon as the app installs, enable your GPS, then click the Location Settings button in the pop-up and navigate to Mode within the menu that follows. 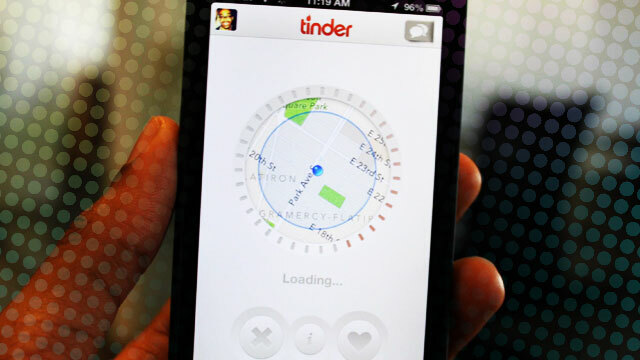 STEP 4: Select GPS only then choose the location that you'd want Tinder to believe where you are from. Tinder will now think you are in that location. And just like that, your pool of potential matches will skyrocket as well as your chance to hook up! Hallelujah!